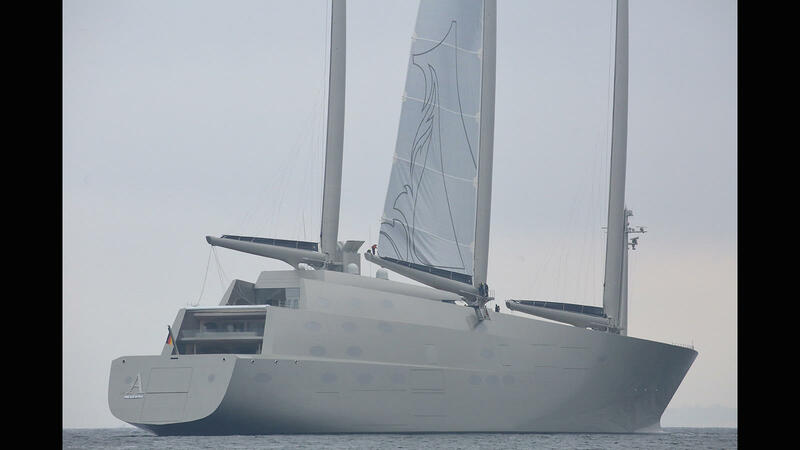 Massive, record-breaking, and innovative are just a few ways to describe Nobiskrug’s 469’ Sailing Yacht A. S/Y A has been in development since Russian billionaire Andrey Melnichenko ordered it in 2011 to compliment his 390’ motoryacht, also known as “A”. S/Y A is due for completion and delivery in 2017 and its delivery will solidify its place as one of the largest sailing vessels ever built. 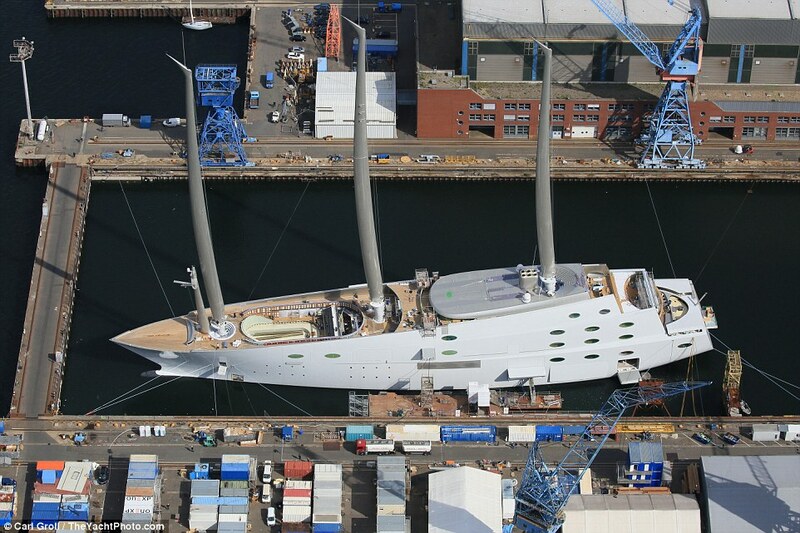 Among A’s many features and record breaking achievements are its three masts reaching over 300’ into the sky. They are the largest free-standing composite structures in the world and were built by Magma Strucutres in the United States. The 40,330sq ft sail plan was crafted by Doyle. S/Y A also boasts an underwater observation lounge in the keel. The vessel drafts 25’ and in the bulb of the keel there is a thick glass observation lounge to enjoy the sights below the sea while underway or at the dock. Philippe Starck is responsible for the exterior design of Melnichenko’s S/Y A and M/Y A. S/Y A incorporates eight decks with additional features one would expect in a yacht of this caliber such as a swimming pool and helicopter pad. It also includes more unique features such as bomb-proof glass and an advanced security system. 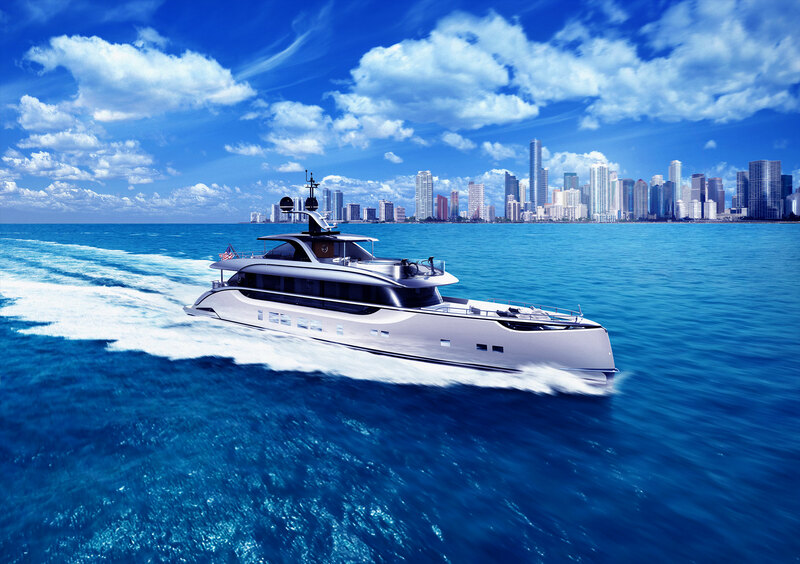 The vessel has a hybrid diesel-electric propulsion system in addition to its sailing rig and is capable of a top speed of 21 knots. 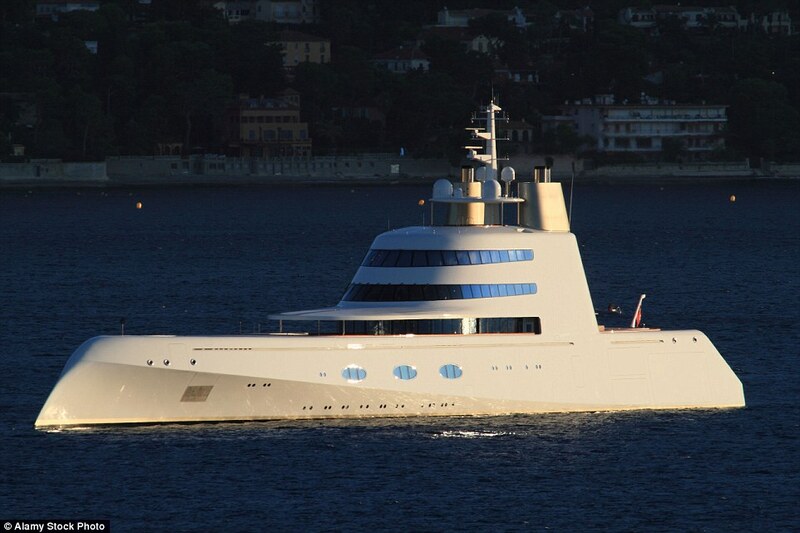 With S/Y A nearing completion Andrey Melnichenko has reportedly put his M/Y A (pictured below) up for sale for $300m.